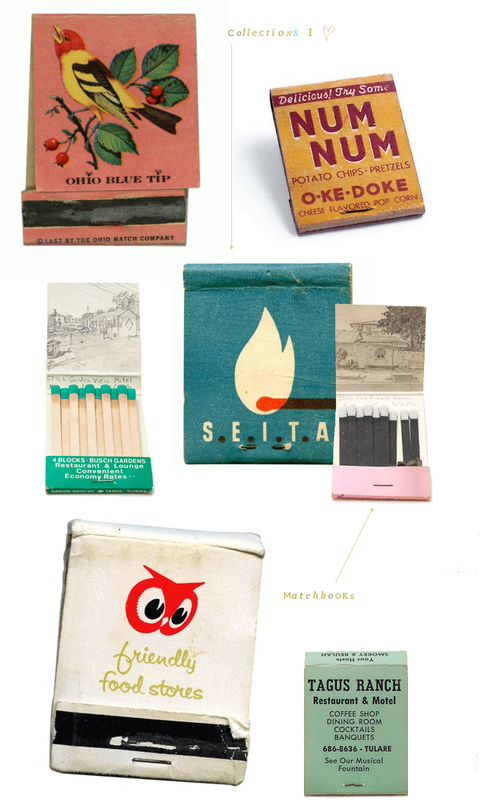 I need another collections like I need a cavity, but these vintage matchbooks are right up my alley! The graphics, the type, the colors-- lots to admire here. anything vintage is something to admire. I like these just as much as you. Question, though - would you use the matches? thanks, maddie. i have a hard time making any kind of alterations to antiques/vintage. using the matches would make them less appealing for me. especially those ones with the colored phosphorus tips!